If you’re staying at a Monterey Hotel, then be sure to sign up for the Pebble Beach Food and Wine festival. From April 5th through the 8th, there will be an exciting list of events and intimate access to 100 celebrity chefs as they take you through a sensory tour of wines and food that will be sure to delight your taste buds. Read on to discover what’s in store for you at the 2018 Pebble Beach Food and Wine Festival. There will be a number of exciting events to choose from during the food and wine festival and the whole thing kicks off with the opening night reception. Located at the famous and picturesque Inn at Spanish Bay, you’ll enjoy over 200 wines to taste as well perfectly paired plates from top chefs. Throughout the event, you’ll also get to choose from different wine seminars as well cooking demonstrations. Choose from cooking demonstrations such as learning more about traditional Hawaiian cuisine or a seminar on the art of handmade pasta. There will also be classes on wine pairings with various cuisines from tacos to burgers. Along the way, delve into specialized wine classes that highlight specific brands such as poggio di sotto, patz and hall, tablas creek as well as pierre peters champagne. Click here for a full list of events that will take place throughout the festival. There are multiple events throughout the event that can be purchased a la carte. Other events can only be accessed if you purchase a weekend package. There are also various event packages to choose from. There are also vip packages available if you are so inclined. Full descriptions of the various packages can be found on the official website. 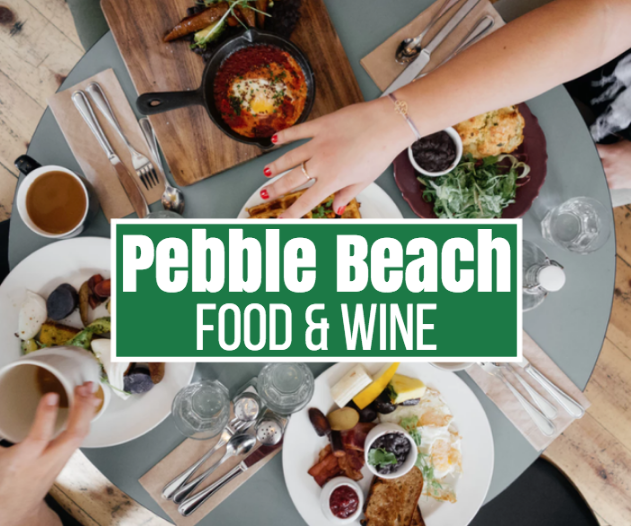 If you love food and wine, be sure to visit the official website and see all the events that you can attend during this year's pebble beach food and wine festival. Get your tickets today!